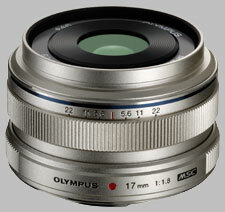 The Olympus 17mm ƒ/1.8 m.Zuiko Digital was released in Decmeber 2012. The lens is designed to fit the micro four-thirds mount, and will not mount on standard four-thirds bodies. As a four-thirds lens, it produces an equivalent field of view of approximately 34mm. It does not ship with its circular LH-48B lens hood - this optional accessory will run you around $70. The lens takes 46mm filters, and is available now for approximately $500. The Olympus 17mm ƒ/1.8 m.Zuiko provided surprisingly sharp results. When used wide open at ƒ/1.8, there is some corner softness to speak of (and more towards the top of the frame), but the majority of the frame is very sharp. Stopping down provides an increase of sharpness, and for maximal sharpness you'll need to stop down to ƒ/5.6. At ƒ/8, diffraction limiting begins to set in, but there isn't a significant impact on sharpness until ƒ/11, and even then it's just a slightly overall decrease. Images start to lose their sharpness at ƒ/16, and become moderately soft at ƒ/22. There is some chromatic aberration of note when using this lens: in the corners, there is a cyan shift in areas of high contrast. This effect is slightly more noticeable when using larger apertures such as ƒ/1.8. In the central region of the frame (again, at wider apertures) we note some chromatic aberration: this time, a very slight magenta shift. There isn't much to report here - just a little bit of corner shading when using the lens at the ƒ/1.8 or ƒ/2 setting (corners are around a half-stop darker than the center). At other settings, corner shading is negligible. There's just a slight amount of distortion when using the Olympus 17mm ƒ/1.8 - in this case, barrel distortion, at 0.2% in the corners. The Olympus 17mm ƒ/1.8 m.Zuiko uses Olympus' MSC (Move-Still-Compatible) technology, making the lens fast and near-silent to autofocus; the lens focuses between close-focus and infinity in less than a second. Autofocus results can be overridden at any time by simply turning the focusing ring. This lens isn't designed for macro work, with a maximum magnification of just 0.08x. Maximum close-focusing distance is 9.8 inches (around 25 cm). The Olympus 17mm ƒ/1.8 m.Zuiko looks and feels like a premium offering, with an old-school aesthetic and all-metal construction. Being a micro-four thirds lens, it's not big, and not particularly heavy, either (4.2 oz), and it mates well to the PEN series of cameras. The size of the lens belies its complexity - its optical architecture is made up of a concoction of 9 elements in 6 groups, including 1 high refractive and 3 aspherical elements (with a Dual Super aspherical element). The diaphragm is made up of 7 rounded elements to provide pleasing out-of-focus results. There are no switches or control surfaces on the lens other than the focus ring - all lens functions are controlled by the camera. The focus ring is an interesting design element of the lens, and we first saw this design on the Olympus 12mm m.Zuiko. The ring is metal with raised ribs, about a 3/8-inch wide. The ring can be pulled backward from its default configuration to enter a manual focusing mode, which exposes a distance scale in feet and meters; a distance scale is omnipresent, but isn't of much use unless you pull the focus ring back to display the distance scale. There is no infrared index. The operation of the focus ring deserves a bit of explanation. In regular use, with the focusing ring covering the distance scale, the ring operates as PEN users are familiar with, moving the focusing element of the lens with a fly-by-wire system at a more or less constant speed, as well as activating the manual focusing mode of the camera and bringing up a magnified view on the LCD. When the focusing ring is pulled back, exposing the distance scale, the focusing speed is variable, dependent on how quickly the ring is turned. This emulates the feel of manual focusing, in that on a purely manual lens the lens will focus as fast as you turn the focusing ring. In addition, there's a little extra resistance when the ring is pulled back, offering a bit more fidelity to make small adjustments. Finally, in this mode the focusing limits are presented as hard stops - when you hit infinity focus or close-focus, the focusing ring will stop. This offers about ninety degrees of travel. As mentioned, the lens hood for the 17mm ƒ/1.8 is an optional add-on, and we didn't have one for testing. The LH-48B is a round, metal hood; also available as an optional accessory for the 17mm lens is a metal lens cap, the LC-48B, if you want to use a metal cap instead of the included plastic cap. If you're looking to save money, you can get the same focal length for a little less, if you don't need the fast ƒ/1.8 aperture: you're also giving up better results for sharpness and resistance to chromatic aberration, however. The ƒ/2.8 m.Zuiko is however, a little smaller and lighter. Offering a wider focal length, the 12mm ƒ/2 is more expensive, but of the same or better optical quality. Sigma's entry into the micro four-thirds category is much more economically priced, but produced surprisingly good results. Panasonic's wide angle prime is also exceptional, and offers a similar angle of view and fast aperture experience. As you can see above, there's no shortage of alternatives in this category - in the world of micro four-thirds, the manufacturers are all looking for that walk-around lens that the photographer will keep on their camera. Olympus has produced a very nice lens here - it feels very solid, and produces some nice images. In comparison to its fellows, it isn't quite as sharp or resistant to chromatic aberration, especially at the larger apertures, but its unique focusing technology might make up for that, and make it easier to use in the field. - Lens construction is first class with it's full metal body. You have to see it in real to really appreciate it. - 34 mm FOV with f1.8 is the best all-around performer I can imagine for the micro 4/3. I don't need anything else, except the 45mm f1.8 which is a stellar portrait lens. It's image quality is not on par with the PanaLeica 25mm f1.4, but it's build quality and FOV really makes up for it. I'm going to use this lens for many-many years. There are people who dislike this lens for technical reasons. But don't let that dissuade you from purchasing it if you enjoy the 35mm equivalent angle of view. There are sharper primes within the Micro Four Thirds system right now. That is true. But this lens is sharp enough for anyone that enjoys walking around with this perspective. It may be a little expensive in EU, I feel for you guys. Very fast AF, good contrast and color, nice metalic construction, sharp. On my Oly OM-D EM-5 much beter then Panasonic 20mm f/1.7. I decided to rewrite my review of this Olympus 17mm f/1.8 prime lens, because the optical quality of the first sample I had of this lens was really disappointing. Something was wrong with it. Luckily the sample I have now is much, much better. The build quality is great. The all metal design makes it sturdy with a nice weight. It looks and feels like an expensive precision instrument. I think it's well designed. I prefer the black version of this lens. It has a nice discreet black satin finish. A lens hood is not included. I think it's always wise to use one. Autofocus is really fast, silent and accurate. 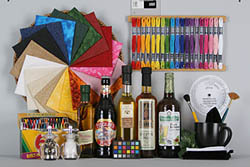 The field of view of approximately 35mm is very versatile and perfect for many types of photos. The snapshot focus system works great and it makes manual focus and pre focus easy, but I hardly use it. The autofocus is fast and accurate enough. It's a nice option to have though. My first copy of this lens was not very sharp. The center was acceptable, but sharpness quickly deteriorated towards the edges of the photo. Not so with my current sample. This lens is sharp wide open and only the corners of the frame are a little soft. Totally acceptable. There is some visible vignetting and CA wide open. Stopping down to f/2.8 makes things better and at f/4 the image is practically tack sharp with little CA. I'm happy with this performance. Bokeh is quite nice actually. I find it can be surprisingly soft and creamy at times. I don't know what it is, but this lens has a pleasant character/rendering. 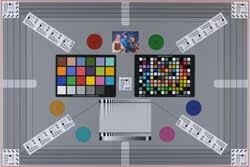 Images look vey natural. If you're looking for a high quality compact allround lens, I definitively recommend this Olympus 17mm f/1.8. I prefer it over the Panasonic 20mm f/1.7, because of the natural rendering (the Panasonic renders too harsh) and lightning fast autofocus. Optics are very good - but I like the 1,7/20 mm Panasonic or the 1,4/25 mm Leica even more. The price is much to high. There should be a black one!